Without a doubt, Pres. Obama’s December 17 Statement on Cuba Policy Changes was the top news of 2014 on Latin America. Read the rest of my article at Da Tech Guy Blog. Since 80% of consumers in Latin America fall somewhere between middle class and poor, retailers who ignore that huge segment of the population aren’t really in the game, said Mr. Barrientos, who previously worked for Wal-Mart in Chile. Small stores, he added, are crucial for attending the lower-income brackets. 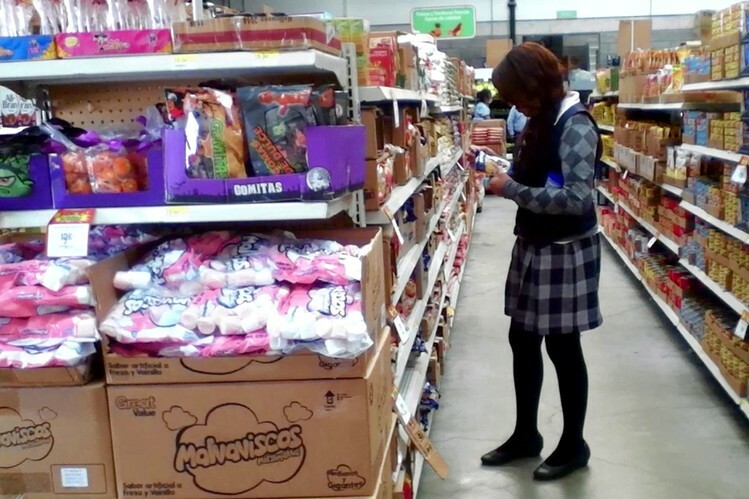 Wal-Mart operates in nine Latin American countries. The challenge comes from local open-air markets – the tianguis, possible protectionism measures from the Mexican government, adding locally-grown produce (in a country where cartels interfere in everything), and access to the new stores by customers who have no means of transportation. However, these new shops offering longer hours may be welcome by slightly more affluent customers. It’ll be interesting to see how it develops. “This is a very common modus operandi”, explained Anthony Daquín, former advisor to the Venezuelan Ministry of Interior and Justice. 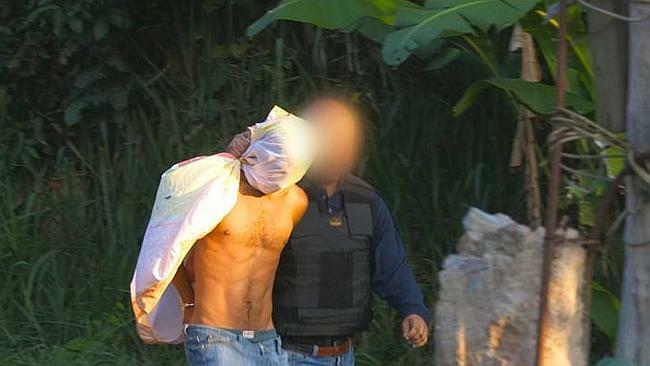 “Agents of the Military Counterintelligence Agency and the Sebin [Servicio Bolivariano de Inteligencia Nacional – Bolivarian National Intelligence Service] are running these kidnapping and extortion gangs”. 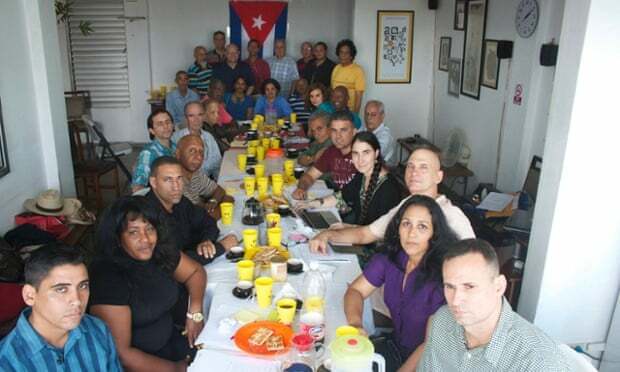 Their victims are people accused of crimes by chavista courts, and the kidnappings are carried by the same agents of these agencies, usually a day or two prior to the victims being delivered to the prosecutors for trial. The purpose is to get as much money and assets as possible from the victims, often under torture, prior to being turned in to chavista justice. The article is available only in Spanish, not yet in the Miami Herald. Just the other day the NYTimes had Diosdado Cabello writing that “Our government responded with restraint” to the riots. Let’s see if they respond at all to these accusations. – Do we have strong cultural and historical ties with any of those nations, dating back over 200 years? No. – Did any of those nations confiscate over $1 billion dollars in US property at the time, done by the very same regime/family in power now? No. b) More importantly, though, we’re bound by reality. Are some of our oil-supplier partners not exactly good guys? Sure. But our economic realities prevent us from ignoring that market. Ditto with China. Cuba, however, we can realistically shun. First, as The Federalist’s Sean Davis pointed out, the parallels between the extension of diplomatic relations to Cuba and similar overtures toward China and Vietnam are misguided. The American interest in “opening” China was primarily political; exacerbate Sino-Soviet tensions, bifurcate the communist world, and provide America with a freer hand to prosecute the Vietnam War. China under Zhou Enlai and Deng Xiaoping engaged in dramatic market-oriented economic reforms in the 1970s, and there was no “normalization” of relations between Beijing and Washington until 1979 – well after Kissinger and then Nixon had famously visited the reclusive communist giant in 1971 and 1972 respectively. Reforms first, normalization second. Moreover, the suggestion that the opening of bilateral diplomatic ties and business relations between America and China helped to transform the People’s Republic into a human rights paragon overnight is complicated by the 1989 massacre of peaceful pro-Democracy protesters in Tiananmen Square. Even today, despite a booming and markedly capitalist economy, China remains one of the world’s leading human rights abusers. No, Cuba is not China. No, you can’t have free markets without free peoples. No, objections to Obama’s “normalization” are not caused by our “outdated Cold War perspective”. Yes, those who oppose the embargo were vociferous about South Africa’s apartheid, even when Cuba’s communist regime is blatantly racist, and practices a de facto apartheid medical system. But, as A.J. is aware, when it comes to Cuba, you can’t cure stupid. Parting question, has anyone found the list of the 53 political prisoners that were supposed to be released yet? I’m still looking. I’m very skeptical on the proposed project. So far the only investor is Wang Jing’s HKND Group, which may (or may not) be a cover for the Chinese government, a company that made a $300 million telecommunications contract with Nicaragua. A final route for the canal has not yet been announced. No details on where the funds come from. Indeed, no studies for the project have been made public. The expansion of the existing Panama Canal cost $5.7 billion. 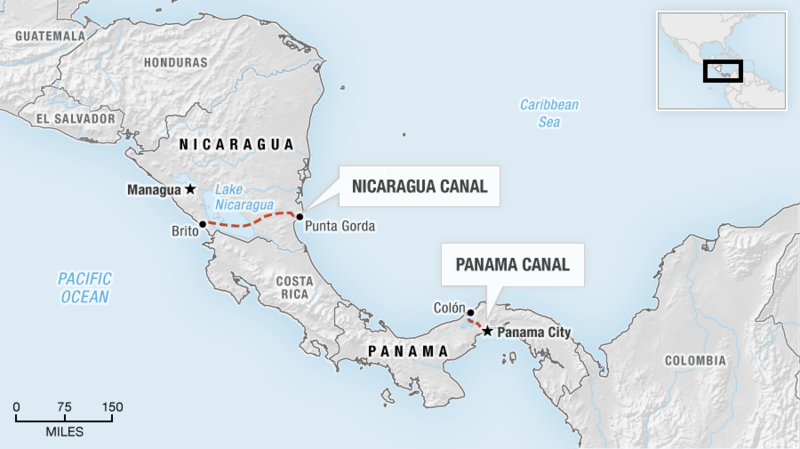 The Nicaraguan canal would be 3 1/2 times longer over an existing shallow lake, & is estimated to cost only $40 billion? On the Country of Lakes and Volcanos? While i agree that “a healthier Latin America, both economically and politically, is very much in our interest”, Nicaragua, hostile to the US, is following the Venezuelan model, not the healthiest economically and politically. Jorge Luis Quijano, Administrator of the Panama Canal Authority says in an interview granted to La Estrella de Panamá that ACP experts estimate this as being a $65-70 billion project, and that five years is way too optimistic. There are also many questions about Environmental mitigation. My personal focus is not on that, but on OpEx for this canal. First, the much longer time in canal waters at slow speed mitigates some of the distance advantage for certain port pairs, and has the largest effect on time-sensitive cargoes, which may be willing to pay the highest tolls per ton. More importantly, the route will require triple the maintenance dredging, as well as triple the piloting and tugboat hours. Those will all affect what the canal can charge for a transit, and therefore the gross margin per transit. Furthermore, of all the ships that could only use this canal, and not the one in Panama, most transport low value, time-insensitive cargo. (bulk carriers and VLCC’s). The Maersk EEE and larger container ships can call on only a few dozen ports worldwide, not just because many ports can’t physically handle their size or draft, but because most ports can’t produce enough demand to justify a weekly or even biweekly port call. This canal is obviously a threat to the tolls that Panana could charge. However, in a race to the bottom, the low cost provider usually wins, and Panama will have lower costs because the Panama Canal is so much shorter. Panama’s neighbor to the north, Nicaragua, is hoping a transoceanic canal and similar prosperity are in its near future; now that Venezuela’s oil money dries up, does this mean China is willing to prop up the Nicaraguan economy? From back in 2008, China’s Control of the Panama Canal Revisited. Argentine president hospitalized for sprained ankle. Not sprained, fractured. President Cristina Fernandez de Kirchhner adopted Yair Tawil as her godson, due to an Argentine folktale that says the seventh born son in a family will turn into a werewolf, and eat unbaptized babies. Providence, Rhode Island is suing the Brazilian state-run oil company Petrobras over investor losses due to a corruption scandal. Unlike other class actions, some of the company’s senior executives have also been named as defendants. Humiliation at the World Cup, a flailing economy and an oil scandal made 2014 a tough year for Brazil. American Alan Gross, freed last week after five years in a Cuban jail, is to receive $3.2m (£2m) from the US government. [Father Gregorio Lopez] A Mexican priest who was kidnapped earlier this week is found shot dead in the south-western state of Guerrero. Supporters point to Monday’s start as evidence that the plan is on schedule. But key feasibility studies on the canal have been pushed back to next April, and excavation work is not due to begin until the second half of next year. Why checks and balances? Check out Venezuela today. Nicaragua: Where’s the Canal money coming from? Did Obama give in on Cuba so Uruguay would take 6 Gitmo alumni? The Opening to Cuba: What do Cuban Americans Think? Venezuela: Revolución sin leche . . .
“We are closed during the season due to shortage of milk,” the famous Coromoto ice-cream store in the highland town of Merida announced on its Facebook page. 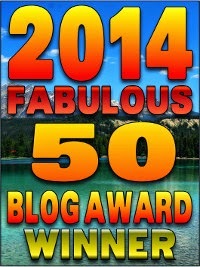 The Fab 50 are up! And you can find me under the Best Latin American Coverage category. Thank you Doug!